The story of Shawn Michaels, the prodigal son of Vince McMahon’s WWE, is never complete without Bret “The Hitman” Hart. Even now, 18 years after the infamous “Montreal Screwjob,” memories of the 1997 Survivor Series are still clear in Michaels’ mind. McMahon masterminded the plan to remove the belt from the waist of WCW-bound Bret Hart, and the Heartbreak Kid was the one who did the dirty work to ensure the job was done. Michaels, whose new book Wrestling for My Life: The Legend, the Reality, and the Faith of a WWE Superstar hits bookstores Feb. 10, shared how his Hall of Fame wrestling career nearly ended before it started. Michaels and Rockers tag team partner Marty Jannetty were first hired by McMahon in June of 1987, an extremely unpopular decision amongst wrestlers in the WWE dressing room. No one denied Michaels and Jannetty were talented, but their brashness made it appear the two lacked any sort of humility. Michaels and Jannetty sauntered into the Ramada Renaissance, past the distant stares of Greg “The Hammer” Valentine and Dino Bravo, and looked around to see the wrestlers all grouped up in different cliques. They surveyed the landscape, steering clear of the Samoan faction of Afa, Sika and Tonga, and instead drifted toward Davey Boy Smith, Paul Roma and Jim Powers. Those three were also in the tag team division -- Smith was in the British Bulldogs, while Powers and Roma comprised the soon-to-be-pushed Young Stallions -- and conversation was pleasant until the group was joined by Jimmy Jack Funk. Funk called out the Rockers for their reputation as partiers, and the 21-year-old Michaels was not one to back down from a challenge. Unbeknownst to Michaels until later the next day, Jannetty stayed at the bar for the remainder of the evening. He even brought home the woman whom Funk had his eye on all evening. “Coming into catering for TV tapings the next day, we ran into Jimmy Jack,” Michaels says. “He asked us what our problem was, and he goes on to tell everyone the story of how we went nuts in the bar and tore the place apart. Michaels learned that pro wrestling's fact and fiction are so intertwined that it is often difficult to distinguish one from the other. After the match with Funk and Rivera went smoothly, Michaels and Jannetty returned home before they were set to appear at the next scheduled round of TV tapings. At the time, Jannetty handled all of the Rockers’ business. He set up a meeting at the WWE headquarters in Stamford, Conn. with McMahon. Michaels, who turns 50 later this year, is now as comfortable away from the wrestling ring as he is inside of it. But long before he was a happily married father of two, his sense of self-worth was closely tied to his career. Once cut loose from Vince McMahon’s world of wrestling, his thoughts grew dark and even suicidal. One of the men who helped him out of that existential funk was Jannetty, his tag team partner and friend. “Marty was pivotal in the beginning,” Michaels remembers. “I learned a great deal from him. When I was tag-teaming with him, I had to make sure I was very good just to keep up. He was always a ton better than he was ever, ever given credit for, and he was even better than he gave himself credit for." Michaels and Jannetty were given a second chance by McMahon in July of ’88, and their high-flying style added a different flavor to the tag team division. By the time 1991 rolled around, Michaels and Jannetty had worked together as a team for five years. The strain of being together every day eventually caused the pair to split. Jannetty wanted to keep the team together and push for a prolonged run as tag champions, while Michaels was ready to embark on his singles career. Most fans remember the Rockers’ breakup as the day when Michaels tossed Jannetty headfirst through a glass window on “The Barbershop,” but the unofficial split occurred a few months earlier in a hotel room in Denver. "Rowdy” Roddy Piper was feeling particularly rambunctious one evening while drinking with the boys, and he got in the head of an inebriated Jannetty. Piper repeatedly asked why Michaels’ career was about to skyrocket, and -- time and time again -- Piper asked Jannetty why his career was going nowhere. Playing off Jannetty’s insecurities, Piper got what he wanted, and Jannetty finally attacked Michaels. Whether Piper disliked them or simply wanted to mess with two impressionable wrestlers was a question Michaels didn’t care to answer. Regret still lingers for Michaels regarding his feud with Jannetty. Instead of a payoff match at WrestleMania VIII, the angle took years to play out as a result of Jannetty’s substance abuse problems. “Our story could have been unbelievable, especially when you compare it to today’s standard of storytelling,” said Michaels. “It could have been far greater than what we managed to salvage out of it. Michaels dealt with multiple issues of his own, but tapping into his potential was never among them. His desire to succeed was apparent in the ring, but Michaels was just as relentless behind the curtain. Michaels’ dogged determination was on display in 1988. While Randy “Macho Man” Savage wore the gold as World Wrestling Federation champion, and Hulkamania was still a featured attraction, the true main eventer amongst the wrestlers was Andre the Giant. Andre would play cribbage all day with Arnold Skaaland before his match. Hogan, Savage, Jake Roberts and all of the talent knew to pay their respects to Andre as soon as they entered in the locker room. Michaels desperately wanted to be accepted, and he walked over to shake Andre’s hand. But the Giant ignored him. For six months, both he and Jannetty would greet Andre, only to be ignored. Jannetty decided he’d had enough, but Michaels stayed consistent for a year, providing a glimpse into his character and desire to succeed in the business. Andre worked with the Rockers in a six-man tag during a European trip, and he finally shook Michaels’ hand after the match. Later that night at the bar, Andre spoke to Michaels. The big Giant then returned to his beer with a mighty laugh. Kevin Nash, a "real life friendship"
Michaels’ singles career changed in 1993 with the arrival of Kevin Nash. Despite the bond he shared with Jannetty, the two were not the closest of friends, something that Piper was delighted to expose. The wrestling business has forever bred paranoia, but Michaels’ friendship with Nash changed his outlook on the business. ​Nash actually won the WWE championship before Michaels, a business decision that would have soured most relationships. Over the next three years, Michaels and Nash expanded their friendship to include Scott Hall, Sean Waltman and Paul “Triple H” Levesque. The group became known as “The Kliq,” and many wrestlers criticized the pull they had with McMahon. By 1997, Hall and Nash were collecting paychecks from Ted Turner in WCW, and Michaels’ support system had almost completely collapsed. But had Hall and Nash never left the WWE, would the incident in Montreal with Bret Hart ever have occurred? “I don’t think anyone would have swayed Bret’s decision-making,” he says. “But if Kevin and Scott were still there, and I still had my friends, it would have prevented the entire thing from getting as out of hand as it did. History has a way of repeating itself in the wrestling business. Months after Michaels was instrumental in the swerve against Hart, he was asked to drop the belt to “Stone Cold” Steve Austin at WrestleMania XIV. Michaels had a bad back injury and even worse attitude, and there were rumors circulating that he refused to lose. Mark Calaway -- The Undertaker -- was the unquestioned leader of the locker room, and he made it clear that Michaels would do the right thing and lose the match. If not, Calaway threatened, he would tape up his fists and pummel Michaels until he agreed to do the job. “Back then, Mark didn’t like me,” Michaels says. 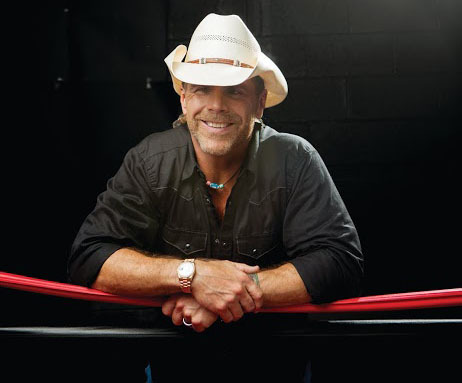 “But at no time has he ever claimed that he said anything to the face of Shawn Michaels, and that’s because he didn’t. “Mark went to everybody and told them, ‘If this doesn’t go down the way it should, I’m going to have a big problem and Shawn is going to have a big problem. I’ll go over there and beat the heck out of him.’ But he never had to say anything to me. Despite their differences years ago, Steve Austin wrote one of the forewords for Michaels’ new book. Michaels credits his faith for turning around his life. “I was difficult,” Michaels says. “I made it a point to be that way. But I’ve admitted to it and it’s time to move on, which is what I’ve done. People will constantly bring up my past and throw it in my face, but the Creator of the Universe doesn’t. If you ask forgiveness from Him, then it’s gone forever. The past is never brought up to shame you or degrade you. When Michaels returned to WWE in 2002, his colleagues were introduced to a much more mature man. The prodigal son had returned, and he was going to atone for his sins. Michaels’ eight-year comeback, he says, was successful in part due to divine intervention. Thanks to his return, the Shawn Michaels legacy now includes two of the greatest matches of all time with the Undertaker at WrestleMania XXV and XXVI. “Taker and I were always two cornerstones with the WWE,” Michaels says. “One guy was a very quiet, reserved Cool Hand Luke, and the other one -- me -- was loud, obnoxious and out-going. That reflected our real lives at the time. ​“Certainly my life would have been OK without any reconciliation with Bret,” Michaels says. “But who wants to just be OK? Why not be overwhelmingly joyous? “Think of all the collateral damage that event in Montreal caused. I always talk about the silliness of the wrestling business, but then there are times when I grasp just how vast it is and how it affects a lot of people. Bret always uses the word ‘cathartic.’ It was cathartic for him, for me, and for a lot of people. Michaels, one of the few wrestlers to never return to wrestling after his “retirement,” hopes to share a different side of himself in his new book. “I wanted to write a book about my career through the lens of my faith,” he said. “Wrestling is all-consuming into every aspect of your life. When you undergo the changes I went through, and have these two worlds in direct opposition of each other, it’s a long road to haul.